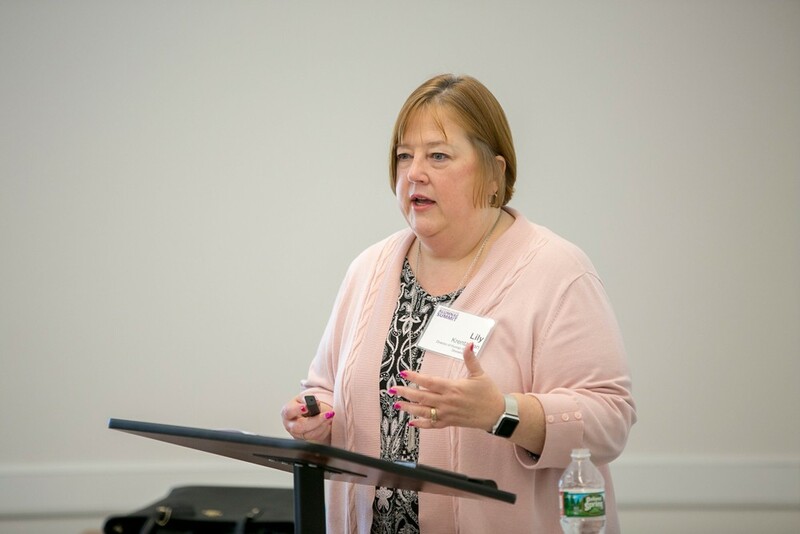 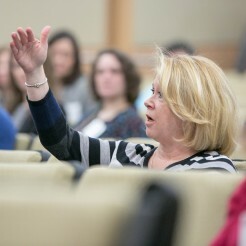 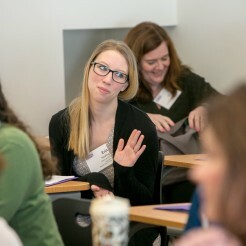 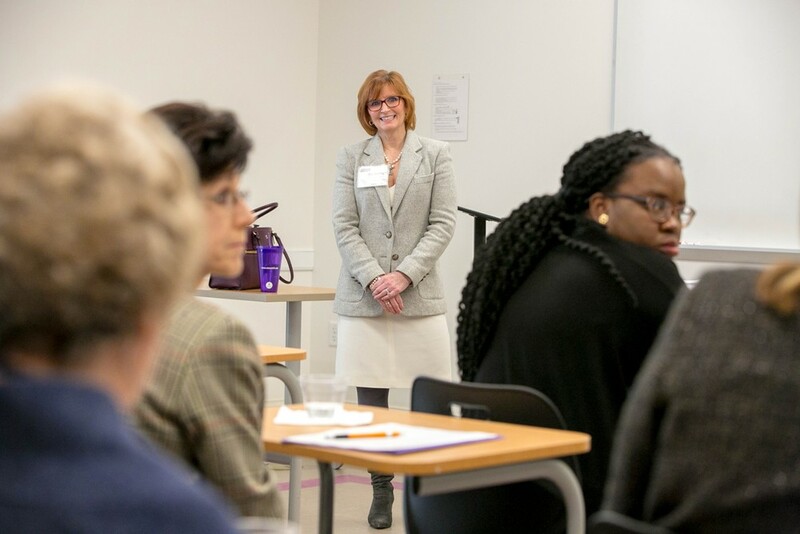 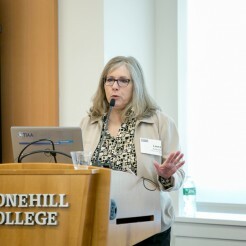 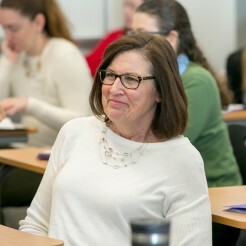 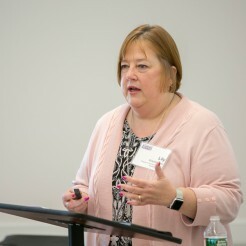 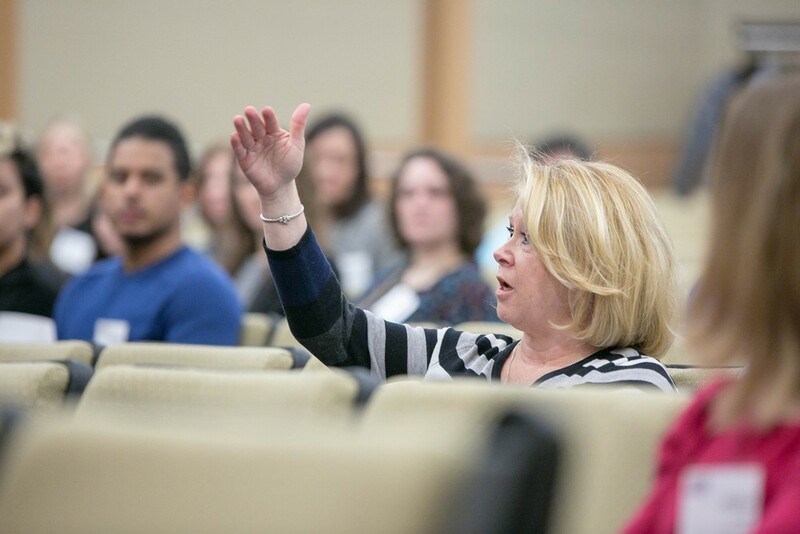 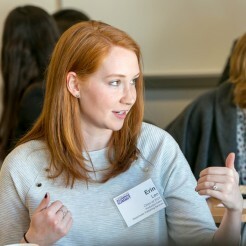 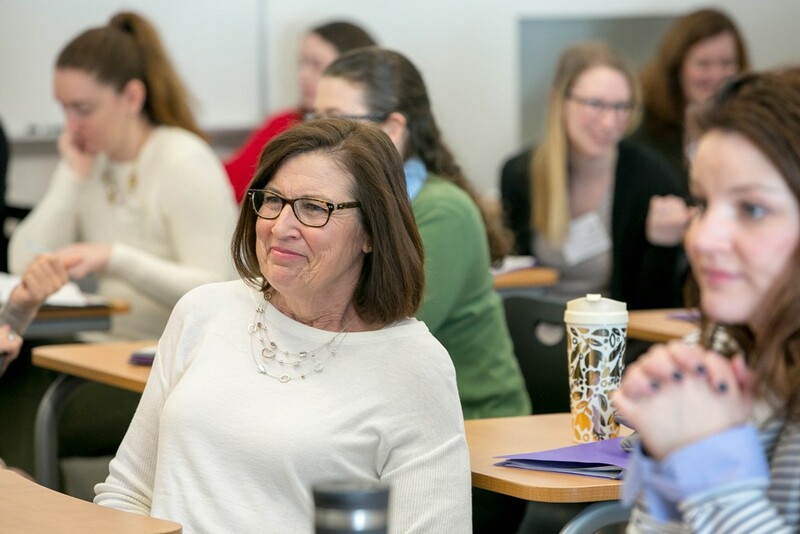 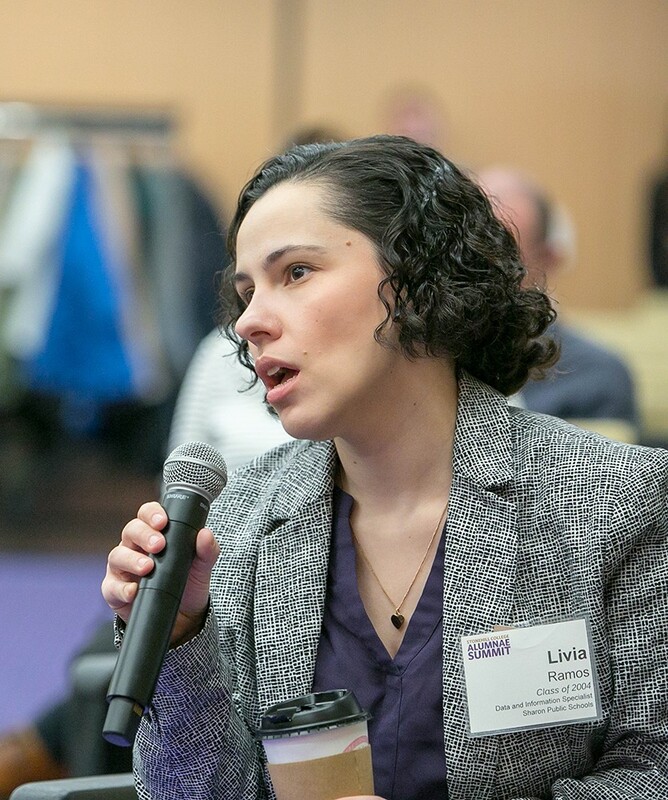 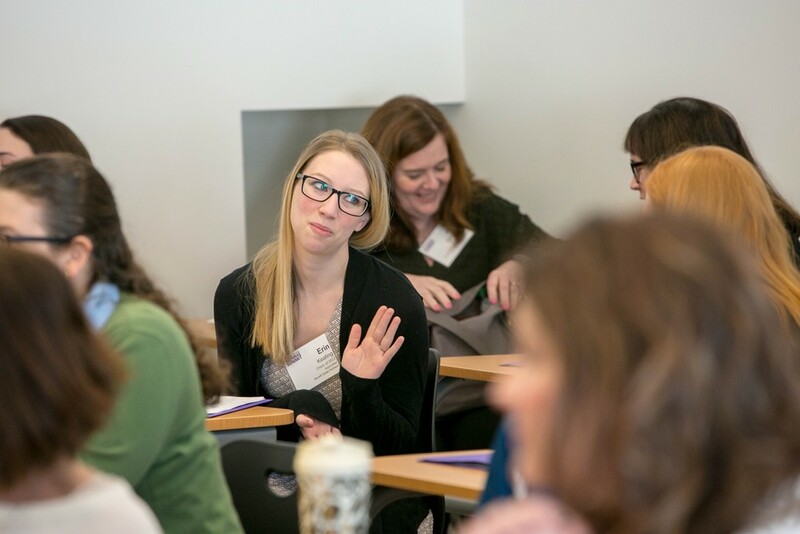 More than 80 Stonehill alumnae recently devoted a Saturday morning to exploring workplaces that work for women. 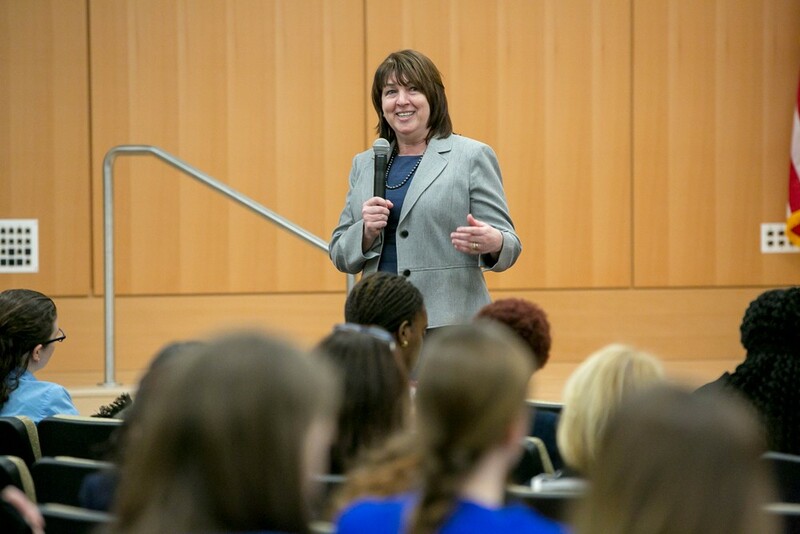 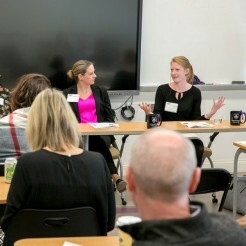 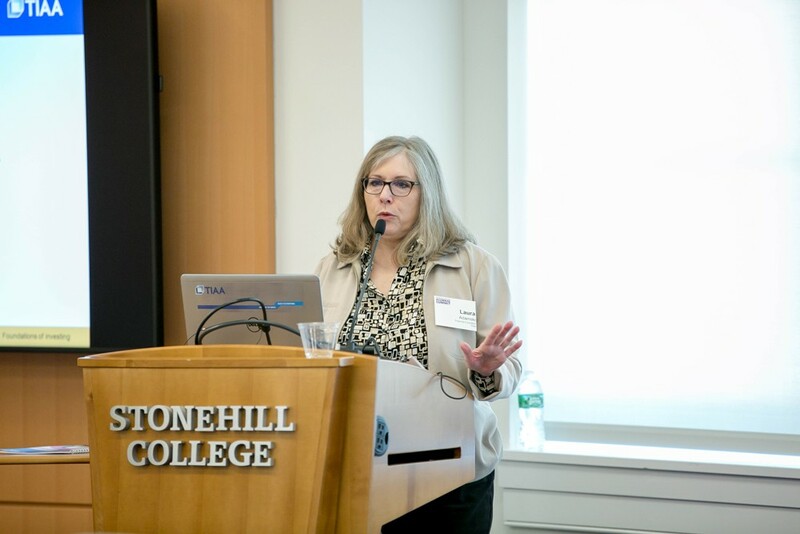 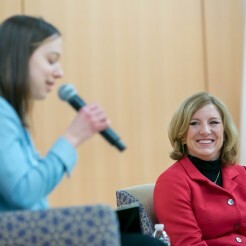 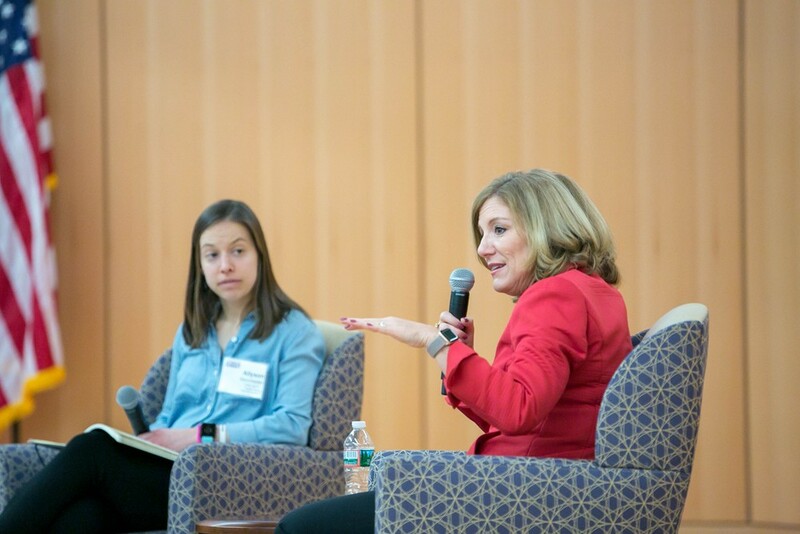 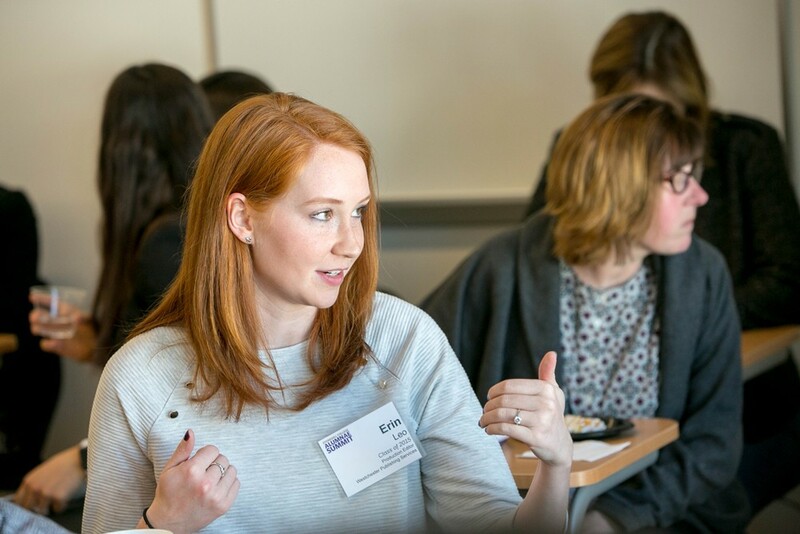 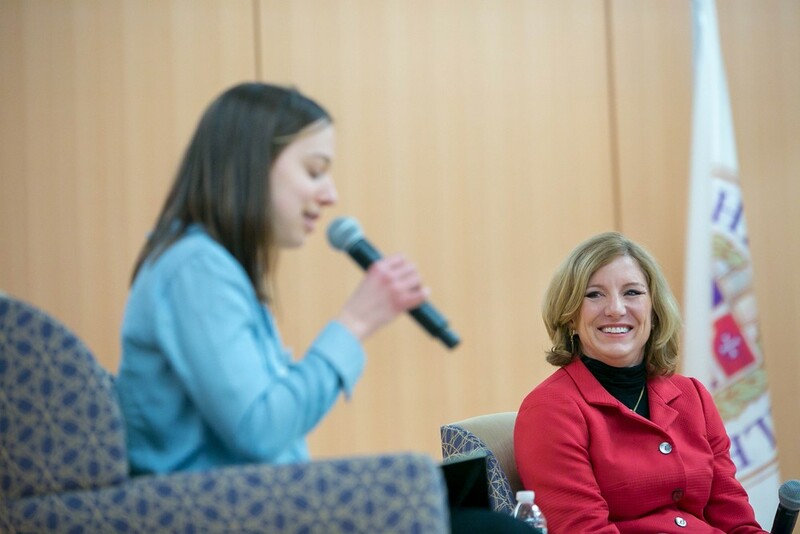 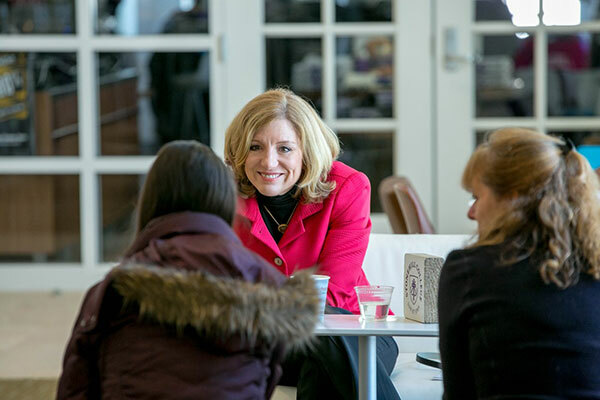 A conversation between College trustee and Stonehill parent, Sheri McCoy, former CEO of Avon Products, Inc. and educator Allyson Manchester ’11 set the stage for a lively, informative Summit with insights on women and issues ranging from leadership to networking to mentorship. 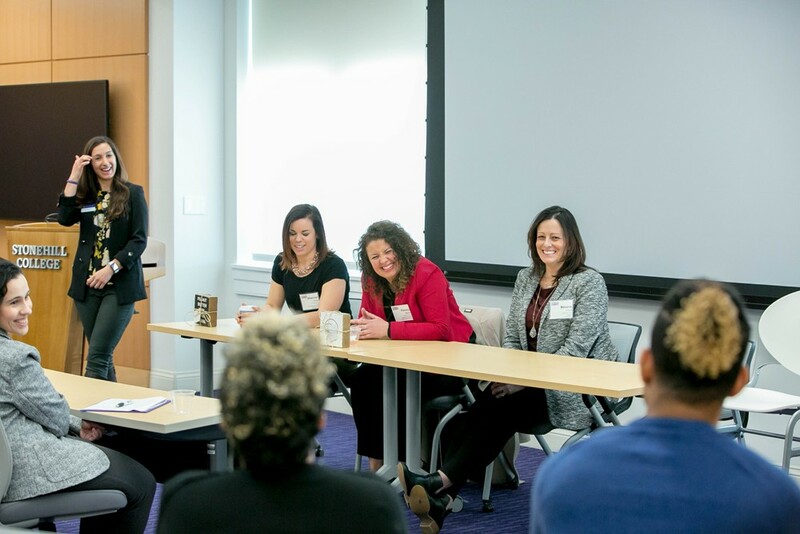 A scientist and beauty industry leader, McCoy discussed making career changes, the importance of vision and purpose, building networks, being resilient, balancing career and family, and developing inner-confidence. 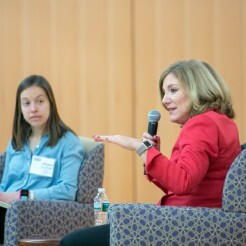 After that keynote conversation, which involved questions and answers with the audience, Summit attendees participated in breakout sessions on Investing & Retirement Planning, Wealth Management & Estate Planning, Negotiations & Difficult Conversations, Women in Politics & Public Service, Being an Advocate and Ally in the Workplace, and Entrepreneurship: Turning a Hobby into More. 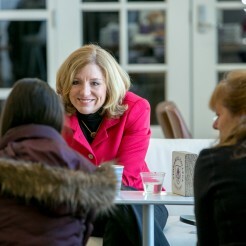 Many attendees had their resumes critiqued and got new headshot photos for their Linkedin pages. 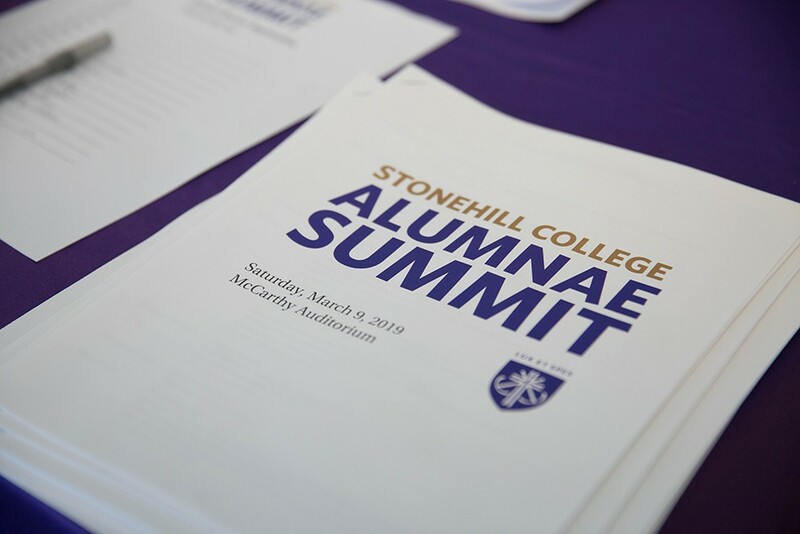 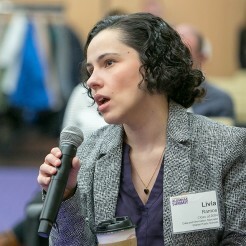 Alumni staffed the majority of breakout sessions, generously sharing their expertise and experience with other alums. 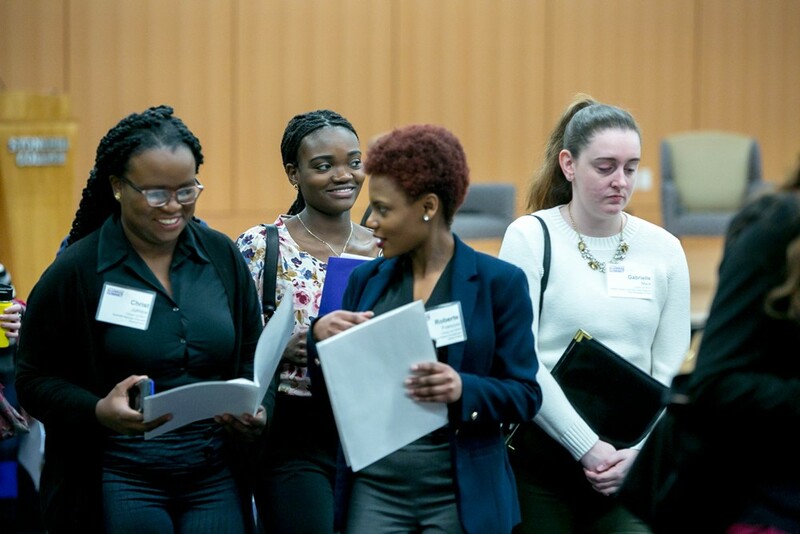 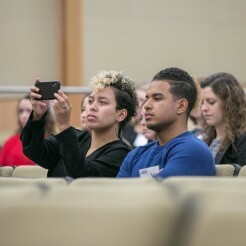 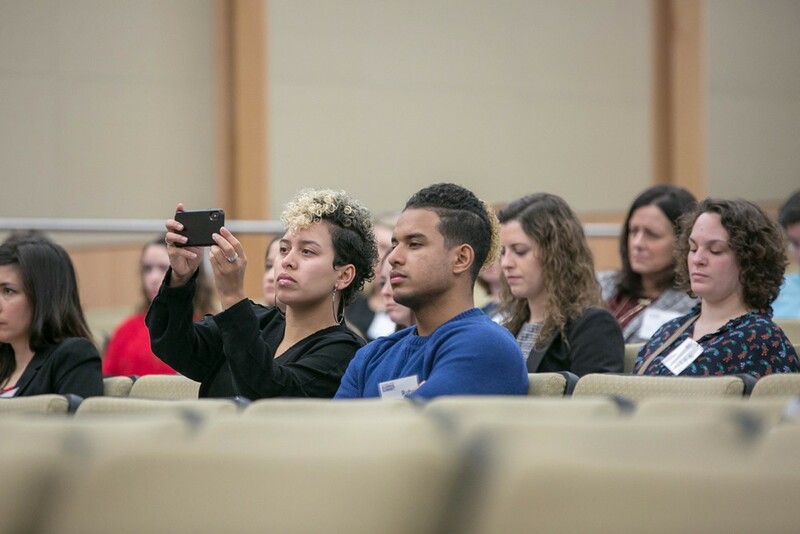 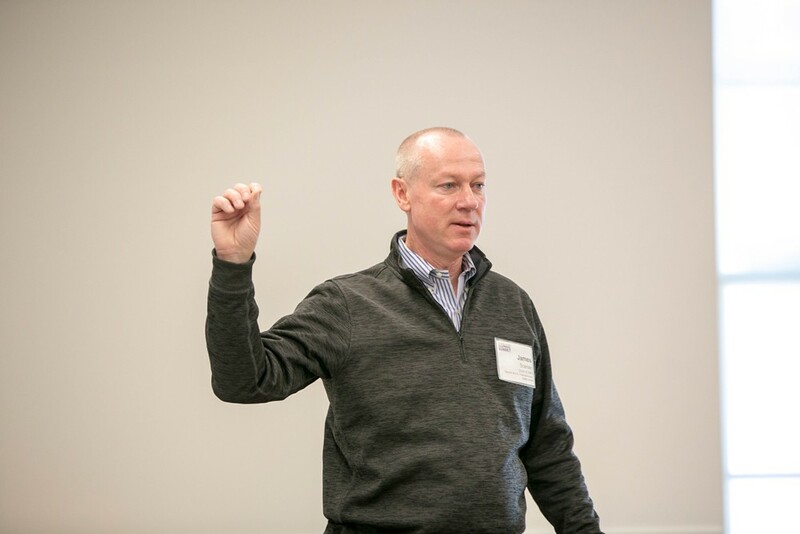 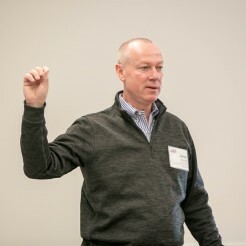 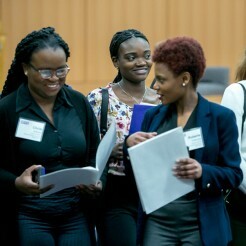 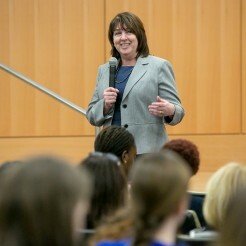 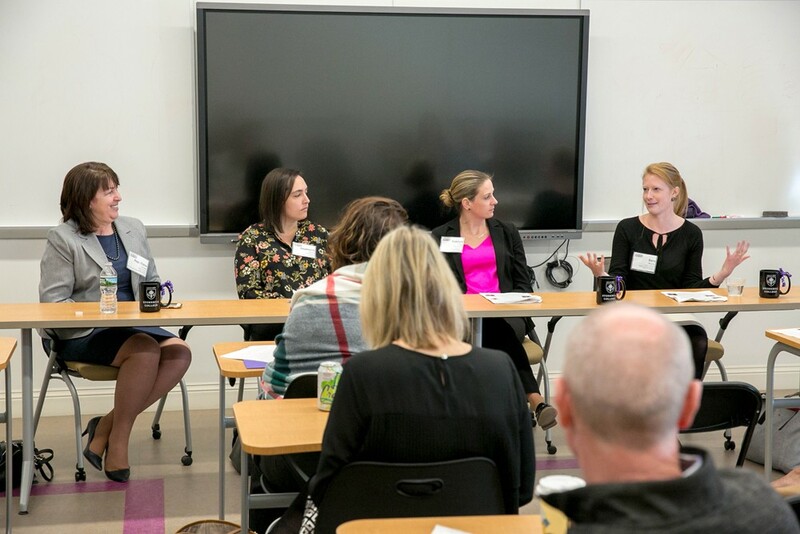 Held in the Thomas and Donna Mary School of Arts & Sciences building, the event was sponsored by the volunteers on Alumni Council’s Career Services Committee who built on the success of the initial Summit last year. 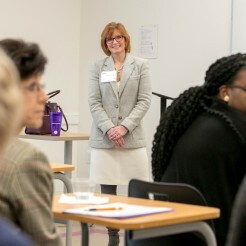 “The spirit of collaboration combined with so many powerful conversations really energized the Summit. 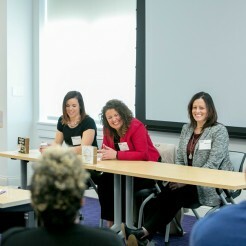 Alumnae, and indeed alumni, worked to help each other, trading experiences and providing insight on trends or opportunities. 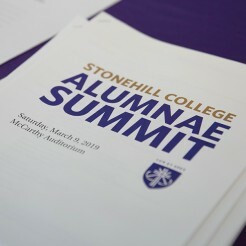 We are already looking at the calendar for next year, said Assistant Director of Alumni Affairs," Lauren O’Halloran ’13.